The push for evidence-based practice has increased the demand for high-quality occupational science and occupational therapy research from conceptualisation of the study through to publication. 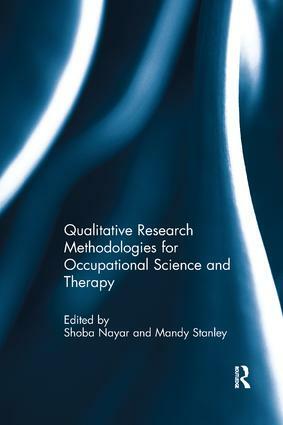 This invaluable collection explores how to produce rigorous qualitative research by presenting and discussing a range of methodologies and methods that can be used in the fields of occupational science and therapy. Designed for occupational science and occupational therapy researchers, this book develops the reader’s ability to produce and critique high quality qualitative research that is epistemologically sound and rigorous.